So all this talk about inclusiveness has flown out the window, like the swans and penguins in the discarded three-part series that the National Library Board wants to guard our poor children against. 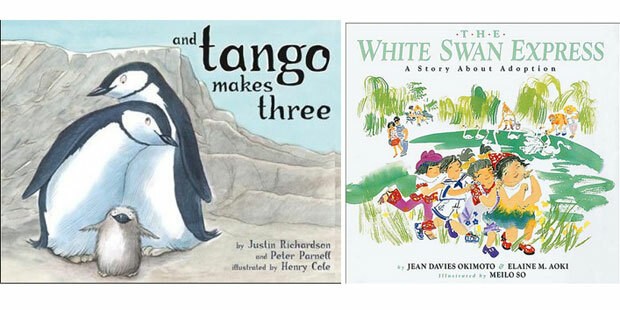 The idea of lesbians adopting and raising these swans as portrayed in the three books – And Tango Makes Three, Who’s in My Family and All About Our Families – may not be good for our values, so said the NLB. On this issue, Communications and Information Minister Yaacob Ibrahim has trotted out a couple of standard refrains. The NLB serves the community and what it does has to reflect the concerns of the vast majority, he said. Why are we imposing such a heavy responsibility on the NLB? Are they the best people to be gatekeepers or custodians of any sort? The library should just concentrate on its role as the place of uncensored knowledge for Singaporeans. If anything, the library should be THE repository of information – and jealously guard that function – including on the different lifestyles practised around the world. It is laughable that the story of lesbians bringing up swans is going to undermine the growth of our children. But there is a larger picture here than just the NLB, which happened to be the latest in a string of incidents which revealed a government sometimes caught with its pants down. Are we witnessing a government in crisis? Is it still clinging to the increasingly unlikely scenario that the ruling party will ever regain ground and reassert its dominance? The-we-know-best-days will never return. Both Singaporeans of all shades and hues (PAP grassroots machinery members, among them) have to get used to a political landscape occupied by a strong but not a two-third-majority party, a smaller but still substantial party and a number of single interest or one person parties. The NLB saga shows, as writer Adrian Tan, 48 has said, there has to be a more transparent selection process. Tan was in the steering committee of the Writers Festival which has the NLB as a partner. It may not be enough to have only certain “approved” segments of the community in the committee. The debate must be robust with efforts made to be representative of most views. The episode is also a sign that we are not moving on. We are still stuck in the Jurassic mud of perhaps fossilised attitudes and are unable or unwilling to venture a millimetre forward. The record of this administration does not give Singaporeans the confidence that it is business as usual. The earlier housing mess, the transport fiasco, Mas Selamat, influx of foreign workers, Little India riot – they are examples of poor government. So disillusioned are a number of Singaporeans, especially the young, that they have switched off. This lack of feedback should not be construed as consent, rather that they may have made up their minds to have a change of government. Indeed, especially if they feel that something like the Three White Swans can be considered a problem for a modern and progressive society. Wait till Medishield Life or CPF issues affect them.